Tarik Kafala, who heads the channel’s Arabic arm – the largest non-English news service in the organization, said “terrorist” was too politically loaded to describe the perpetrators, who attacked and killed 17 people, including 12 Charlie Hebdo cartoonists and journalists earlier this month. “Terrorism is such a loaded word. The UN has been struggling for more than a decade to define the word and they can’t. It is very difficult to. We know what political violence is, we know what murder, bombings and shootings are and we describe them. That’s much more revealing, we believe, than using a word like terrorist which people will see as value-laden,” he added. 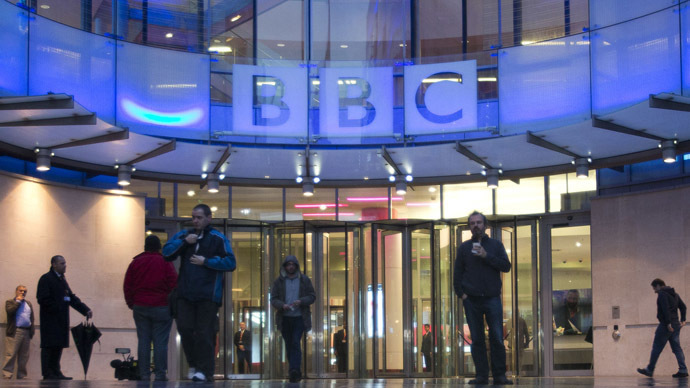 While Kafala received criticism from other commentators on social media, the sentiment does fall in line with the BBC’s editorial standards, which apply throughout the organization. “The word ‘terrorist’ itself can be a barrier rather than an aid to understanding. We should convey to our audience the full consequences of the act by describing what happened. We should use words which specifically describe the perpetrator such as ‘bomber,’ ‘attacker,’ ‘gunman,’ ‘kidnapper,’ ‘insurgent,’ and ‘militant,’” the guidelines say. BBC Arabic is part of the World Service, paid for by British tax payers, although its broadcasting is geared towards countries outside the UK. According to official figures, the branch has a weekly audience of around 36 million people.